→Arbor Longboards Review – Are They Suitable for Beginners? Having been around in the industry for a longtime, Arbor has a wide range of boards for multiple disciplines. However are they worth your interest? Conflicted about whether you want that Landyachtz or that Arbor skateboard? In our Arbor longboards review, we will take a look at what Arbor has to offer. 4 What’s Good About Arbor? 5 What’s Bad About Arbor? 5.1 Lack of Downhill and Freeride options! 5.2 Bearings Could Be Better! 5.3 Most Are Made Of Mape! 6 Can You Trust Arbor? 6.1 So Should You Go With Arbor? Arbor provides a wide range of boards to choose from. Ranging from street decks, pintails, cruisers, mini-cruisers, free-ride and down-hill orientated decks. There are top mounted and drop through mounted boards to be found here. Arbor boards are typically made from an all wood construction. However there is a range of boards featuring a bamboo construction to be offered as well. To be found under their “Bamboo collection”. Most of arbors cruisers feature a woodgrain graphic on the top with a graphic on the bottom. Graphics range from global maps (“Groundswell series”), abstract and artistic shapes, designs and photos. Arbor likes to organize the aesthetics of their boards in different “series”. All of Arbor’s boards come with ABEC-5 rated bearings. Grip tape is also included. With some boards having a clear grip tape on the top. Features range from deck to deck, but boards can be found with features such as concave, w concave, rocker, wheel flares, cut-outs and kick tails. Arbor’s cruising orientated decks lengths range from “30” to a very long “46”. With widths ranging from between “8.80” to “10”. Making them a good option even for bigger guys. Wheelbases (length between trucks) range from between “15” to “35”. There are multiple mounting options to be found. As some cruisers have a drop-through mounting option. Whilst others are natively top mounted. Trucks included with Arbor’s cruisers are usually a variation of Gullwing “Charger“ trucks. Wheels to shred straight out of the box with completes are usually Arbors own range of wheels. Such as the Sucrose Initiative “Summit” 71 mm wheels, which are among the best wheels and we highly recommend them. One Con I would mention – maple construction is more potentially at risk of chipping, water logging, and is more likely to be heavier. Mini cruisers are for cruising, just like cruisers. Except they are more agile, smaller and therefore even easier to transport. Arbors mini cruisers lengths range from between “7 to 9” in width. Wheelbases range from “14” to “25”. Making them similar in size to a regular street skateboard. All Arbor mini cruisers are natively top mounted. Providing greater control, grip and a livelier ride. Trucks included are usually a variation of Paris “Street” trucks. Included wheels are from Arbor’s own line of wheels. For mini cruisers, Arbor has decided to pair most of their decks with their own 61mm “Bogart” wheels. Coming in a variety of colors. Most mini cruisers will have a maple construction, although there are bamboo options also available. Arbor’s “Downhill” range provides decks that are suitable for the most extreme types of riding as well as high-speed racing. They’re sized like typical downhill Boards ranging between “35 to “40” in length. With wheelbases range from anywhere between from “22” to “30”. Most of the decks to be found here are top mounted. Though there is a drop-through mounted board called the Cypher. Construction for all of Arbor’s downhill decks is of maple. Including features such as radial and W concave, rocker, and wheel flares. Trucks and wheels usually included with the downhill range include Paris “43” degree, “180” mm trucks. Wheels usually included are either Arbor’s Sucrose initiative “Summit” or “Vice” wheels, both of which are great options for sliding. Arbor produces a wide range of wheels suitable for different types of riding. With downhill orientated wheels such as the “Summits” and free ride orientated “Spuds”. Wheel sizes range from 71mm to 51mm in diameter. With contact patches ranging around 35 mm in Arbors smaller wheels. To 56 mm in Arbors larger “Summit” wheels. Durometers range from 78A to 90 A. Most of Arbors wheels tend to gravitate towards the freeride, cruise and freestyle scene. Their downhill options for wheels are very limited. Since the “Summits” are the only wheel with square lips, a taller size and a wide contact patch. 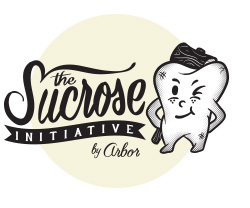 The Sucrose Initiative is Arbor’s standalone wheel program. Arbor’s aim with this program is to “introduce an alternative, environmentally friendly components into our urethane formulas that improve performance, while reducing the petroleum footprint of our urethane, and the environmental impact of slides and long-term wear”. Therefore the wheels are more environmentally friendly and sustainable. 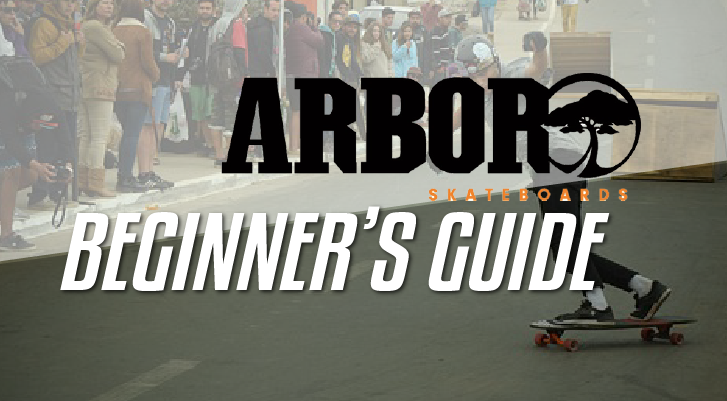 Here is a video where Arbor boasts all about their wheel formula. Arbors boards are not cheap but they are not overly expensive. Considering the value you are getting in each board here. For example, instead of providing you with just generic wheels often included with cheaper completes, they supply you with their own produced aftermarket products. Meaning they are more likely to provide better performance. Also more likely to be well known by skaters out there, who can share details and knowledge amongst the community. Arbor completes also come with aftermarket trucks such as Paris trucks. Which are among our recommended brands. The option to buy bamboo constructed decks gives the option to buy decks made of an alternative material, that is more durable, and less prone to water logging. As well as being relatively lighter. Arbor also includes a range of features in their decks such as different styles of concaves, rocker, wheel flares, mounts and kick tails. All necessary grip tape and mounting hardware is included. Arbors range of boards tends to learn more towards cruising, dancing and freestyling rather than downhill and freeriding. Those who are looking for boards that are intended for such purposes can’t go wrong here. As there is a large range of boards that provide drop-through mounting options, wide platforms and long deck lengths. Providing more stability, flexibility, foot platform easier pushing. Arbor’s decks are usually supplied with appropriate wheels. For example for Arbors cruisers, they will come with their larger wheels. Such as the “Outlook” wheels. Which are 70mm in diameter, with a 78A durometer. Giving a good roll speed, as well as decent ability to roll over cracks and other obstacles. The “Bamboo” series of boards provide decks made of bamboo. Making those particular decks easier to carry around and durable. Arbor has a few programs in place to reduce their carbon footprint. Such as their “Sucrose Initiative”. Where formulas are “made in part using sugar-based alternatives”. Another program is their returning Roots program. Where Arbor actively provides donations to help preserve Koa wood forests in Hawaii. Souring environmentally sustainable materials. Therefore when you are buying Arbor products you can have some peace of mind that you are helping support environmentally conscious practices. Lack of Downhill and Freeride options! Since Arbor is more focused on producing cruisers and the like, there is a small amount of choice for those who are intermediate riders and want to do the more extreme styles of riding. Such as downhill and racing. Compared to other companies such as “Landyachtz”. Arbors downhill boards are all made of maple construction as well. Meaning that they may not be as durable compared to boards from other companies. Who offer boards made of other materials and production techniques. The boards will also tend to be heavier and not as responsive. Arbor completes come with ABEC-5 rated bearings. It is recommended to switch to “Bones Reds” or other aftermarket precision bearings. As they will most likely provide a much nice roll speed and therefore a nicer ride. Most Are Made Of Mape! Most of Arbor’s boards are made of a maple construction. Maple is prone to denting, chipping over time. It is also heavy making it harder to carry the board around. Maple is also less responsive compared to bamboo, carbon fiber and other construction options. 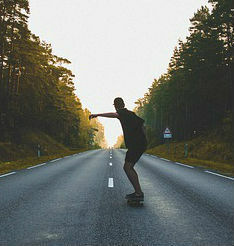 Arbor is among top longboard manufacturers and has been in the scene for over 20 years, producing snowboards, skateboards and clothing since 1995. Describing themselves as a “collective of growing cooperative of designers, artists and friends. Whose shared goal is building rideable and wearables things from the best stuff possible”. Arbor also takes pride in being environmentally friendly with programs such as “Returning roots” and building decks from recycled materials. Arbor’s Skateboard line provides a wide range skateboards for all styles of riding including cruising, freestyle, freeriding and downhill riding. So Should You Go With Arbor? If you simply looking for your next cruiser, dancing, street and freestyle deck, for a price that isn’t too steep, then Arbor might be what you’re looking for. Whether you’re a beginner or intermediate rider. However, if you are looking for something that will be your next Hill bombing machine then you might be better off looking somewhere else. Since there is a lack of options. When it comes construction options, shapes, set ups, and graphics to choose from.